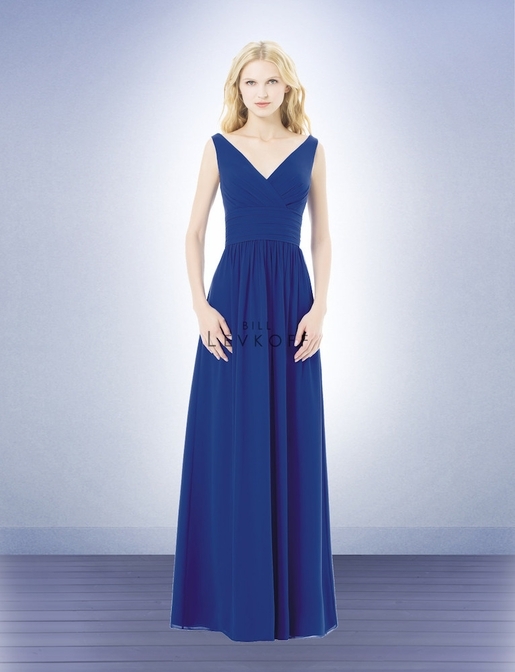 Bill Levkoff Bridesmaid Style 498 is a Chiffon surplus sleeveless gown with V-front and back. Ruched cummerbund accents the natural waist. Soft gathers surround the skirt giving it extra fullness.